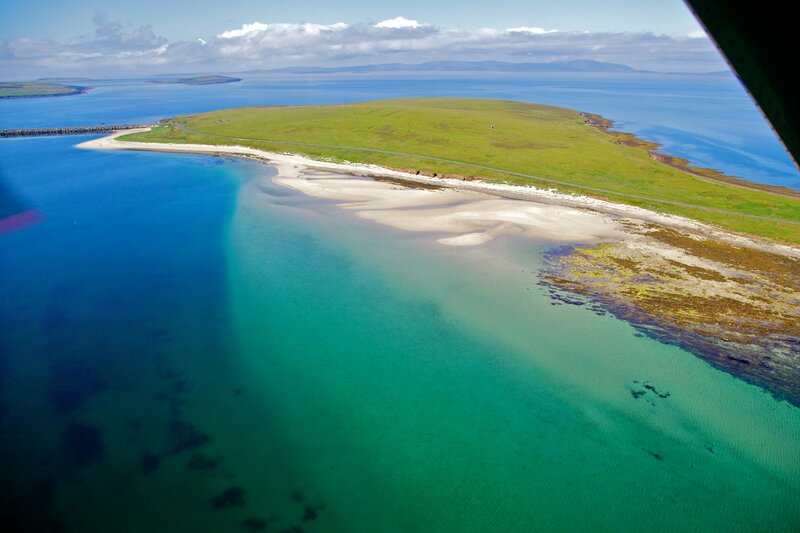 A long, lazy beach with beautiful blue water and a nearby Churchill Barrier - what more could you want? 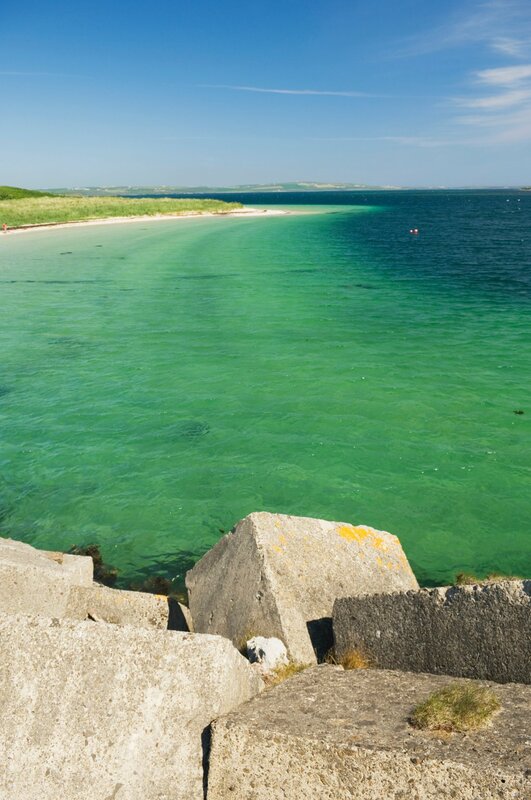 The beach lies in the shadow of the 3rd Barrier, built during WWII to protect the Home Fleet based in Scapa Flow. 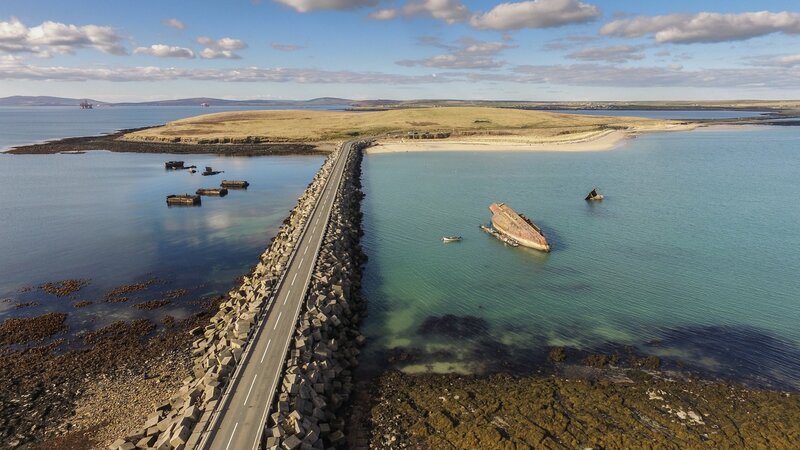 The barrier is partly responsible for the development of this beach, changing the tides and the currents, but its legacy is a stunning stretch of coastline. Just before you turn onto the 3rd Barrier itself, you'll find a large lay-by on your left. Park here and head down the short flight of steps to the beach itself before being greeted by a close up view of the huge concrete blocks that make up the causeway. The wreck of the blockship SS Reginald lies in the water in front of you, and you'll see small fishing boats and dinghies too. It's an idyllic scene during the summer, helped by the bright blue water lapping onto the sand. At low tide you can walk all the way along the coast of Glimps Holm back to the 2nd Barrier too.